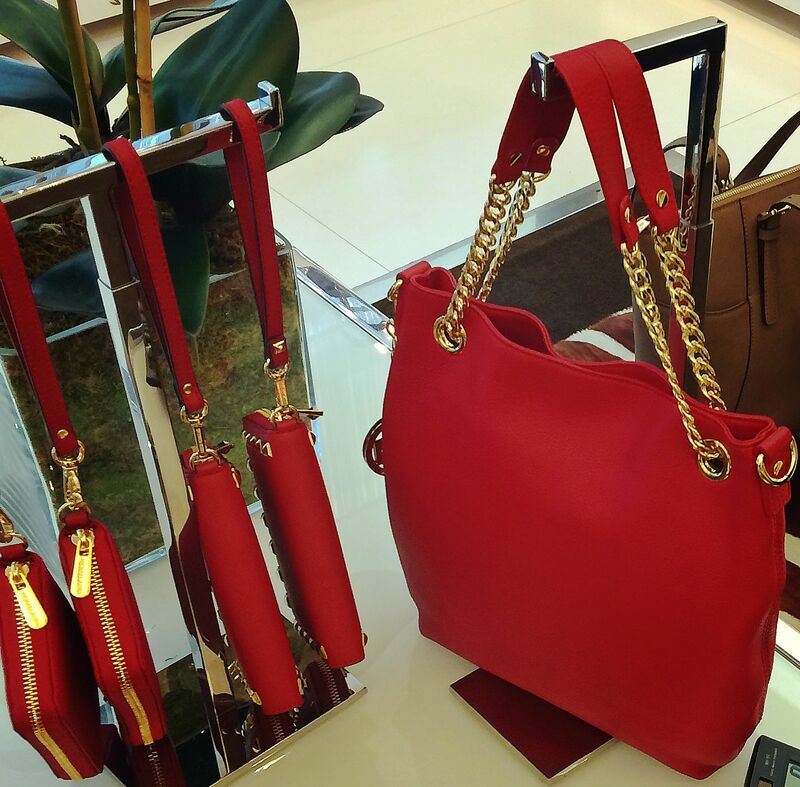 Michael Kors – what’s not to love? 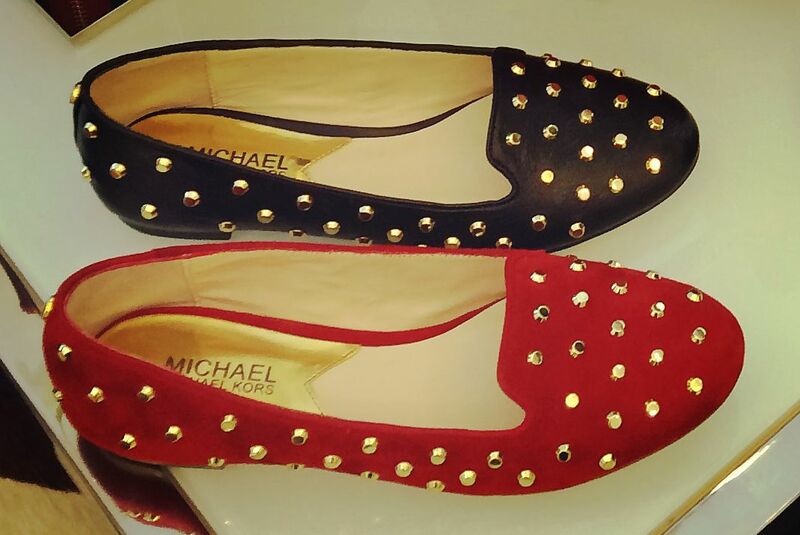 How Christmasy doe these shoes below look – LOVE! Love all the clutch bags below – especially the small ones on the right – we will take the black and white one please!! 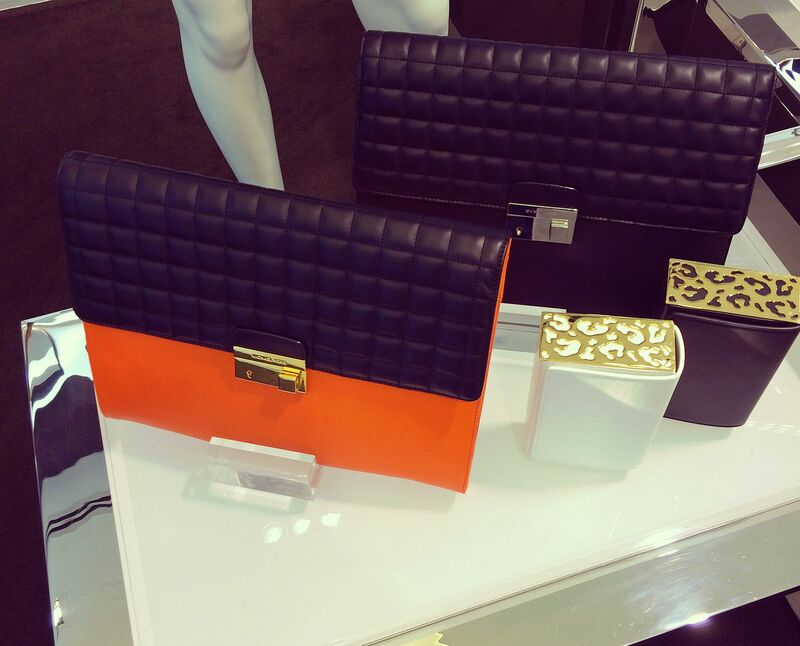 The orange & black clutch was A4 size and would look AMAZING with a white shirt and jeans. 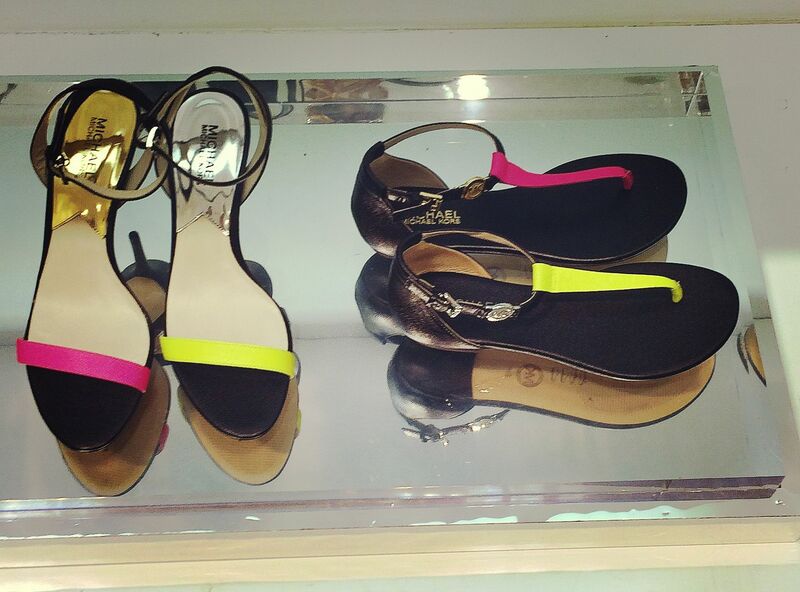 Fun sandal colours below – perfect for injecting some brights into your outfit in Singapore! 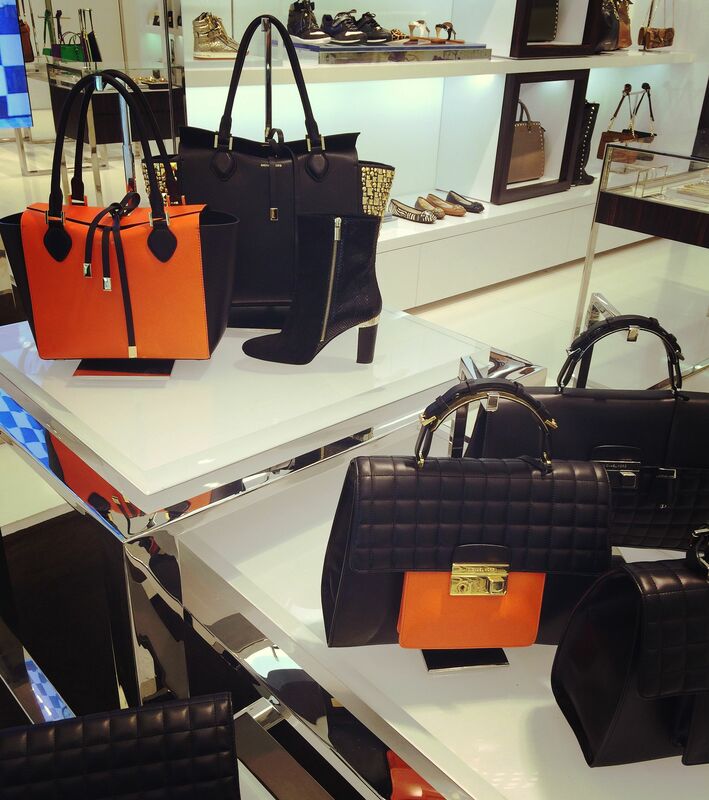 Head down to Michael Kors now at Scott’s Square!